The iPhone X is the future for Apple’s iPhone. That’s the implication from Jony Ive in an interview published by Japanese design publication Casa Brutus. But has Apple placed too much focus on design and not enough on the consumer? Let’s start with the all-glass design. While the materials may be all-glass, Apple has worked to minimize the three distinct elements (front panel, back panel and chassis) into a single item. The presumably new construction methods in the iPhone X are a step forward, but it’s a tough ask to make ‘we built it slightly differently’ to be a key selling point. And if you want to start discussions about dominant nature of the iPhone X screen across the device, just remember that the screen to body ratio of the iPhone X is lower than the Samsung Galaxy S8 family. It certainly solves one of Apple’s problems with phone design. If you want to move to a handset that has as few active parts as possible, then removing the TouchID sensor is a key goal. The iPhone 7 moved to a ‘virtual’ home button built in to the bottom bezel, but the electronics to register touch and read the fingerprint remained. With the iPhone X, that complexity has been removed - and while it is replaced with the camera and sensors these are parts that will receive less wear and tear over the lifetime of the device and can be tucked away under the outer enclosures. While Face ID solves the problem of the recognising a user, don’t forget this problem was already solved with Touch ID. Does Face ID offer a better solution to Touch ID? Certainly the lack of Touch ID means unlocking a phone in your pocket, subtly under a table, or while being jostled in a busy commenting environment is now going to be a lot harder. Environmental factors are going to come into play with lighting, clothing, eyewear and more all impacting on the efficiency. Until independent testing in the real world can be performed, the benefits of Face ID over Touch ID remain to be seen. The user base will have to be re-educated and something that is ubiquitous in the smartphone community - fingerprint recognition - has been removed from the iPhone X. What FaceID has done is introduced ‘the notch' to the iPhone X.
I’ve spoken before about the design of the notch, and I keep coming back to one idea… that Apple has sacrificed the user interface so that the iPhone X can have a distinctive visual silhouette as branding. The notch can show up easily in graphical representations of the bezel-less phone (graphics where you can see the bezel), Apple has specifically told developers to not hide the notch and users will constantly have the reminder of ‘there is magic here’ as two awkward ears stick up from the main working area of the screen. Apple’s choice in design around the notch was to emphasise Apple, not create a smooth experience for the user. What would I rather see Apple focus on with the new iPhone? I’d love a complete burning down and rebuilding of the UI to bring back the simplicity that iOS prided itself on. I’d like to see better adoption of every community standards and less of a reliance on proprietary technology. Using Qi for wireless charging is a good first step, but why rely on AirCharge in the future when there’s a faster charging standard available in Qi right now? And Apple’s continued use of the Lightning cable is one more tiny ‘lock in’ to Apple’s ecosystem. While Apple focuses on design that benefits itself, Android’s adoption is increasing while the overpriced and over gimmicked iPhone X is going to be late and have a detrimental effect on Apple’s overall performance. Unit sales of the iPhone fell between 2015 and 2016. Thanks to the late arriving iPhone X it looks like 2017’s sales will be lower than 2016’s. Quarterly sales year-on-year for Q4 2017 and Q1 2018 are also going to be lower. 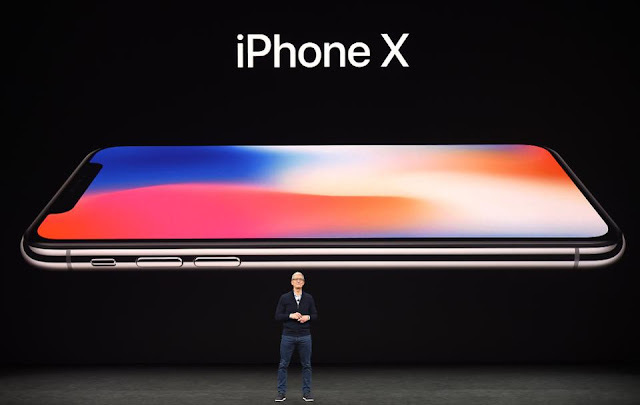 iPhone X is the future of the iPhone. I just don’t think it is the future that Apple has designed it for. 0 Response to "New iPhone X Details Reveal Apple's Flawed Vision"